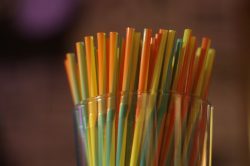 Asa brought news of a district of Auckland which has become the first part of the city to ban straws. The Uptown area of Auckland used to use up to half a million straws a year, but now, they’ll have settle for reusable alternatives. And in a classic New Zealand twist, a local artist is even turning 15,000 leftover straws into an art piece. To hear all about the strawesome news and more, check out the podcast below.